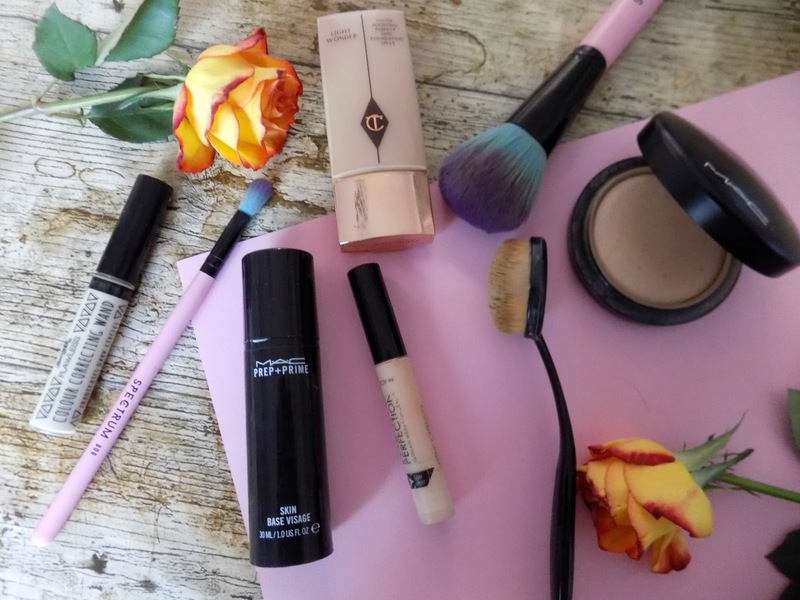 Recently I have added some new base products into my makeup collection and they have quickly become go to items, for an everyday makeup look, so I thought I would share with you my current fav base. First things first after moiserising my skin I go straight in with my Mac Prep & Prime, this has been my first choice primer for a while and I am on my second bottle, it smooths my skin, blurs my pores and definitely helps my makeup stay put. Love it. 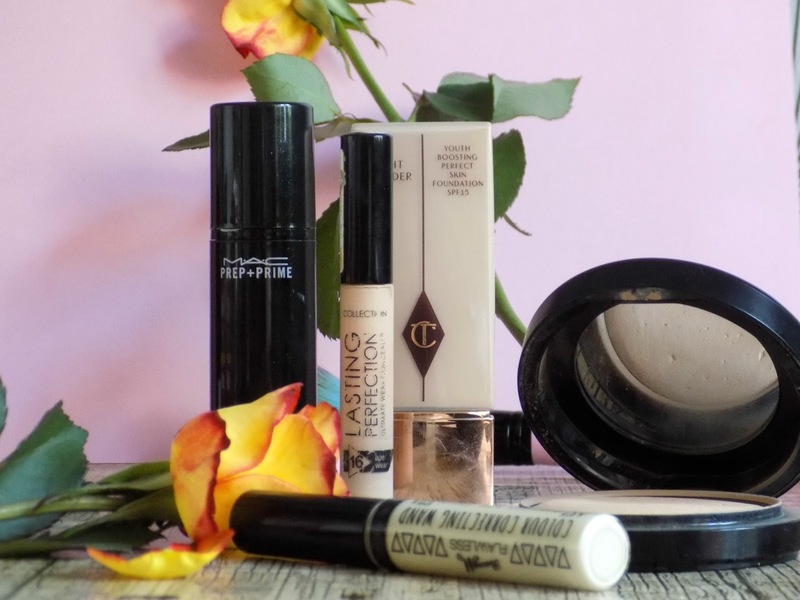 As for concealers, I have my old faithful Collection lasting perfection, this is always in my makeup bag, it has a cult status for a reason, it has a high coverage concealer that is amazing at covering imperfections and costs a fraction of the price of some of those high end concealers. For those dark under eye circles I have recently bought into the colour corrector fad, and purchased Barry M's correcting wand in yellow, and you know what I think it really helps to lighten and brighten my under eye area, and I love the formula really creamy and blends like a dream. Now onto the newest edition to my makeup collection Charlotte Tilbury's Light Wonder foundation, now this is pricey and I did have reservations about buying it, but I went for it and I love it so all good, the coverage is medium I would say, and leaves your skin looking so natural and radiant. Perfect especially for warmer days as feels so light on the skin like your wearing nothing at all. Last up an old faithful of mine, a product I use everyday without fail, Mac's mineralize skin finish powder, is my perfect powder it sets my makeup beautifully, never goes cakey, and can be used to give your skin an extra bit of coverage on those days when your skin is not looking it's best. It's not to matte and my glowy foundation still glows through, which I love, as I'm not a fan of a totally matte face. So there you have it my current base makeup routine. 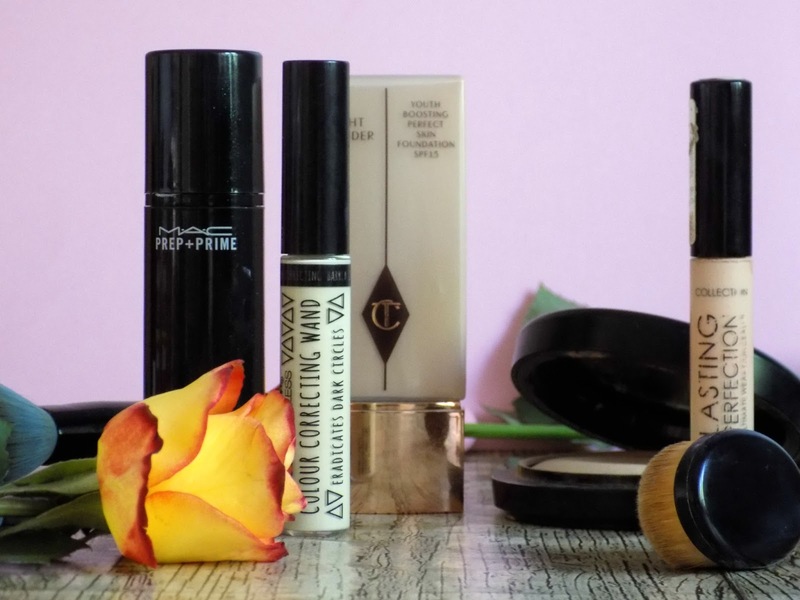 I have been using the collection concealer for years now and it is still my fave, such a bargain!